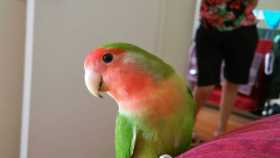 Pet lovebird flew away. She has a green body with bright red head. Her peak is long and very sharp.